Each palette has been created as part of an initiative to help minimise environmental impact; the palettes have been created with carefully selected materials, with reusable packaging and the chance to help the environment with your palette. How, I hear you ask? Well each palette comes with a special code which when entered online, activates the plantation of a tree in Brazil's Amazon Rainforest. You can even dedicate your treat to someone special by including their name and you'll get a personalised certificate, too. I think this is an amazing initiative and it's so fantastic to see a brand such as Clarins working alongside Pur Projet, in a promise to planting 7,000 trees. This wonderful charity aspect to Clarins isn't new, either, with Clarins being a brand that works with many charities all year round and a partnership with the Pur Projet in particular which has been going since 2013. Since 2013 Clarins has planted 13,350 trees for the Kuntanawa people of the Amazon and this year their plantation efforts will benefit the Amazon's Ashaninka Tribe, who are known for creating ceremonial make-up using the red pigment Urucum which can be found in their habitat. I've entered my code, so don't forget to plant your tree with the code from your palette, too! 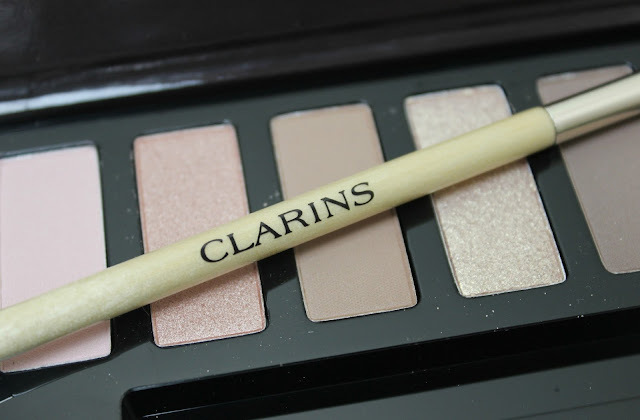 This year Clarins have taken their yearly The Essentials palette and transformed it with some incredible stand-out shade picks which makes this a beautiful take on a festive palette, with hues which will help you be more daring than the usual neutrals you'll spot in The Essentials palettes. Like the previous Essentials palettes it features 10 beautiful shadows, each formulated with Plant Extracts and Minerals for an ultra-soft texture. There's a great mix of matte and satin finish shadows, with the added ingredients of Musk Rose Oil in the matte shadows as well as the satin shadows, which also features Meadowfoam. 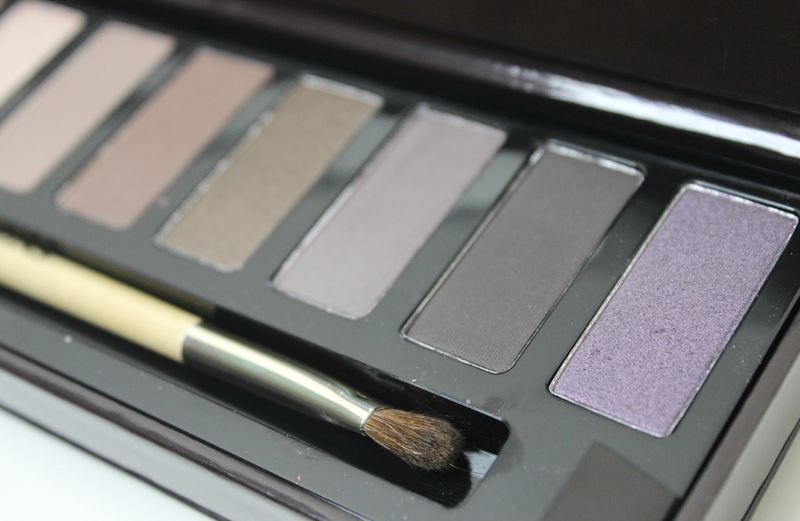 The shades in the palette range from your usual pale neutrals including lovely light pinks, soft beige's and everyday browns to the more deep chocolate and cooper hues, beautiful taupe's and a charcoal black. The two most stand-out shades for me in the palette are the stunning iridescent pale gold which makes an incredible finishing touch for the centre of your lid when applied lightly with your ring finger, and the final shade in the palette, a stunning violet plum. The formula of each shadow is just incredible; buttery soft powders that are packed full of intense pigmentation, very easy to work with and a complete ease to blend for a flawless finish. There's only one shade out of the 10 I struggle with and that's the very first shade, which I can't seem to get any colour pay-off with and find a touch difficult to even pick up with a brush, but the 9 other shades are just phenomenal and easily make up for it. The palette also comes with a lovely dual-ended eyeshadow brush, which is always handy to have in your brush collection! What I love the most about this year's take on The Essentials Palette is the way it is just that touch bolder, without being out of anyone's comfort zone. 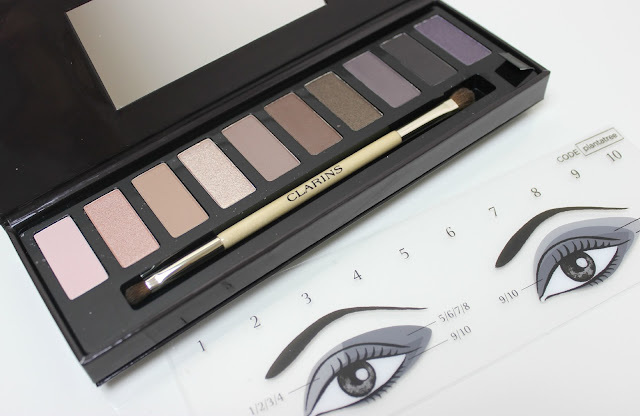 The shades featured are perfect for all ages, all abilities and all occasions, a really versatile palette. Another year, another The Essentials palette, another very impressed Tattooed Tealady! 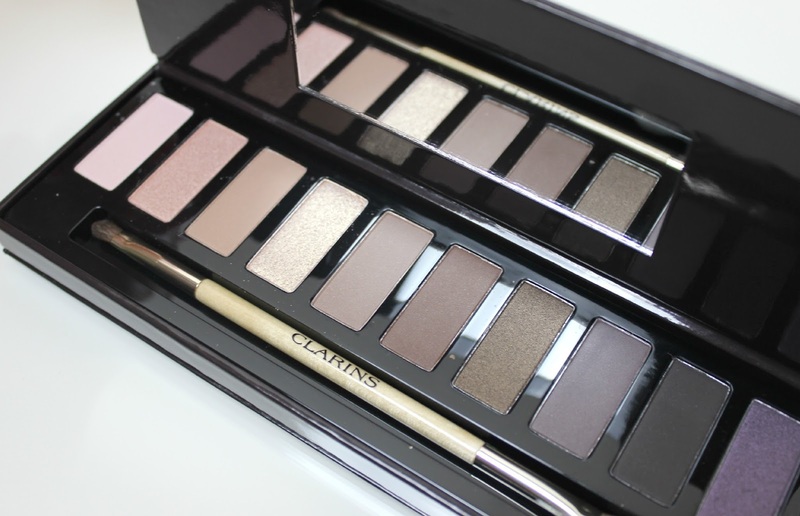 Ooh what a pretty palette, I think I prefer this one to the previously released one, love the shades! these shades are all so pretty! Love the cause behind it! Love that palette, so pretty!